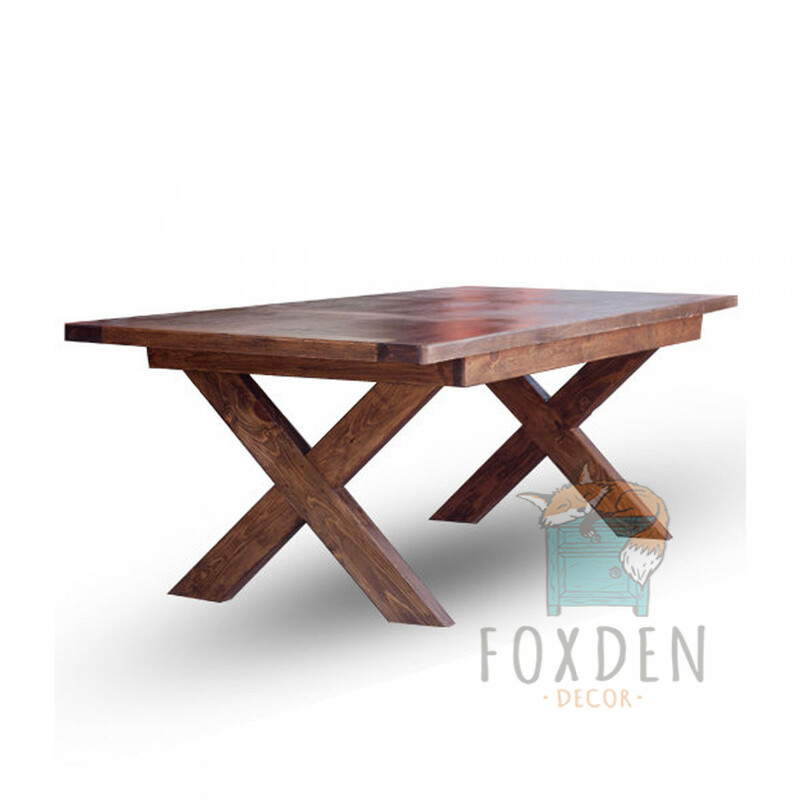 An absolutely gorgeous and rustic dining table with X style legs. 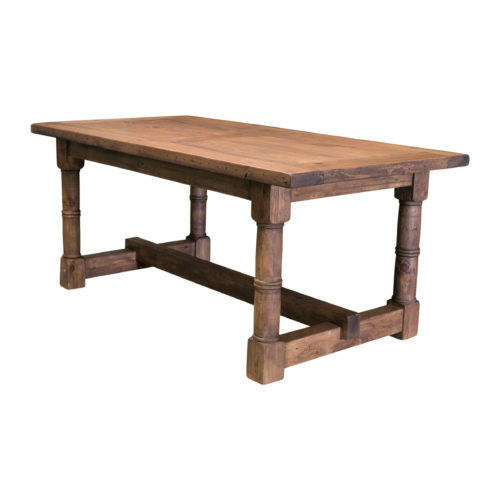 This farmhouse table is crafted from smooth, kiln dried pine and has a very unique and rustic appearance. The table is 8 feet long. The legs easily fold underneath, making it easy to move.